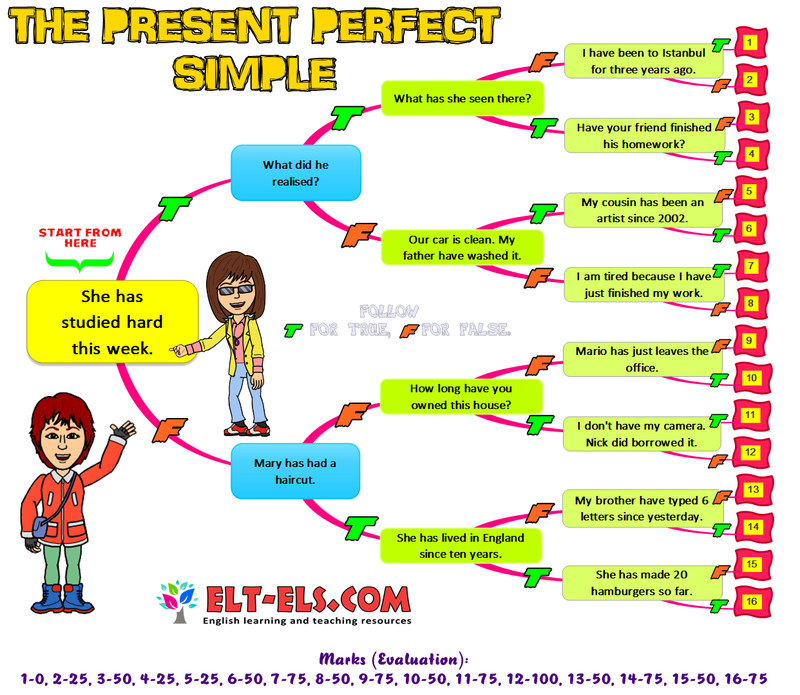 This is a diagnostic tree quiz about the present perfect simple. Some of the sentences are grammatically incorrect. If you think that the sentence is false follow the letter "F". Follow the letter "T" for true sentences and and learn your score.